Reserve Bank of India governor Raghuram Rajan is trying to control high inflation and boost growth at the same time. India's central bank caught investors by surprise Friday, hiking interest rates in an attempt to control rising inflation even as growth slows. The bold move, which increased the key rate to 7.5%, was made at the first policy meeting presided over by new Reserve Bank of India governor, Raghuram Rajan. He also announced the scaling back of some emergency monetary measures introduced a few months ago with the aim of supporting the falling rupee as investors fled from emerging markets. The capital flight was triggered by expectations that the U.S. Federal Reserve would start to wind down its massive stimulus program, spelling trouble for the global recovery. Investors responded poorly Friday, sending Mumbai's Sensex index down more than 2% after the announcement. The rupee weakened against the dollar. The policy moves reflect the dilemma Rajan faces in trying to prevent inflation spiraling out of control without damaging efforts to revive India's sluggish growth. Rajan said the Fed's decision this week to keep pumping money into markets at current rates had bought India some time to put its economy in order. "We must use this time to create a bulletproof national balance sheet and growth agenda, which creates confidence in citizens and investors alike," he said. 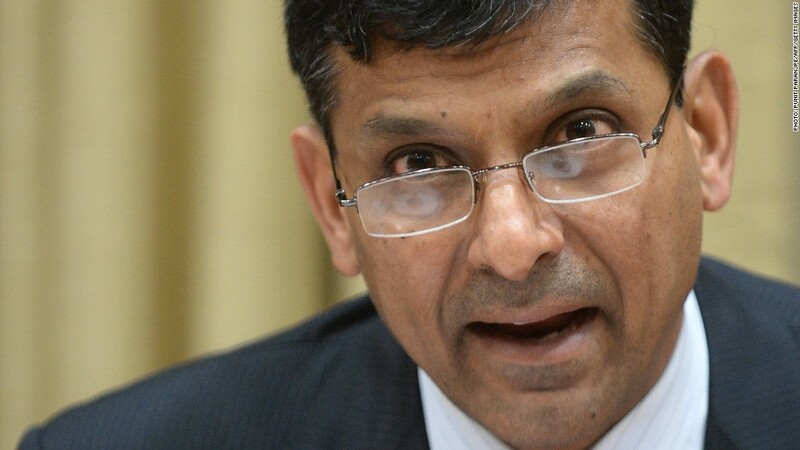 Rajan, who took up his post as central bank governor earlier this month, is challenged with boosting India's economy amid sky-high inflation, a rapidly weakening rupee, increased borrowing costs, a faltering stock market and its slowest economic growth in a decade. India is also particularly vulnerable due to its $88 billion current account deficit, which reflects the nation's tendency to import many more goods than it exports and leaves it heavily reliant on foreign capital. But Rajan isn't wasting any time. In his first day on the job, he announced reforms that should make it much easier for new banks to be licensed. He also took steps to support the rupee, including a new central bank facility to encourage commercial banks to accept more deposits from overseas. The former chief economist at the International Monetary Fund seems undeterred by the challenges he faces, and has said he isn't afraid of making difficult choices. "Some of the actions I take will not be popular. The governorship of the central bank is not meant to win one votes or Facebook likes," he said.